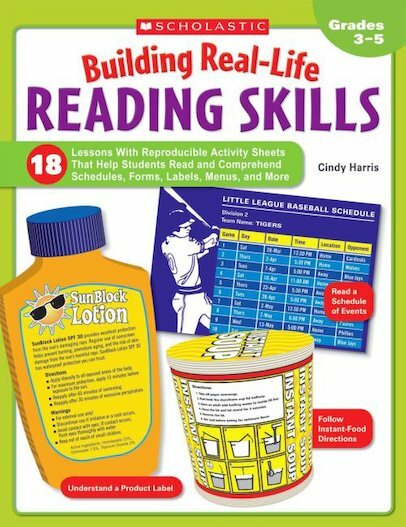 These high-interest lessons help students build essential skills for reading the ””real-life”” texts they encounter every day—from sports schedules to toy advertisements. Includes reproducible real-life texts, read-aloud scenarios that show how students can read to solve everyday problems, guided activities, and independent practice. Helps students meet reading standards and learn to make smart decisions independently—by locating and using exactly the information they need.